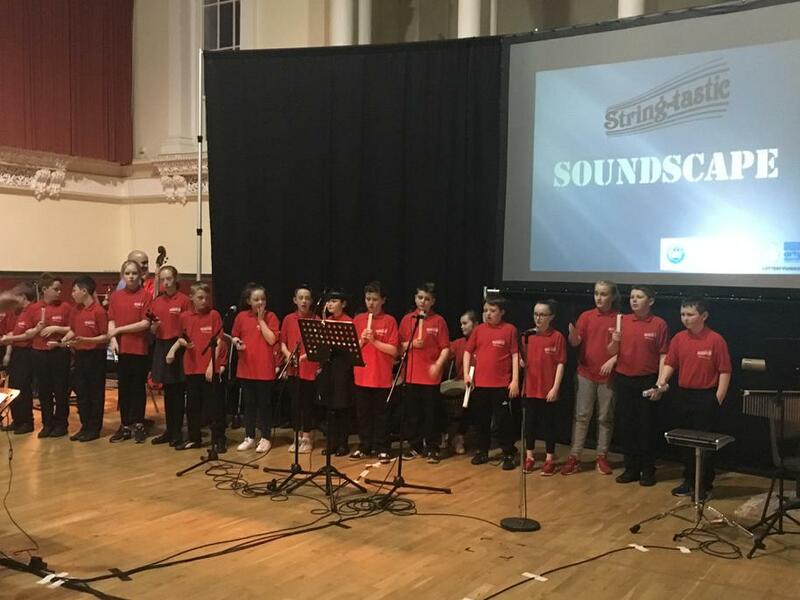 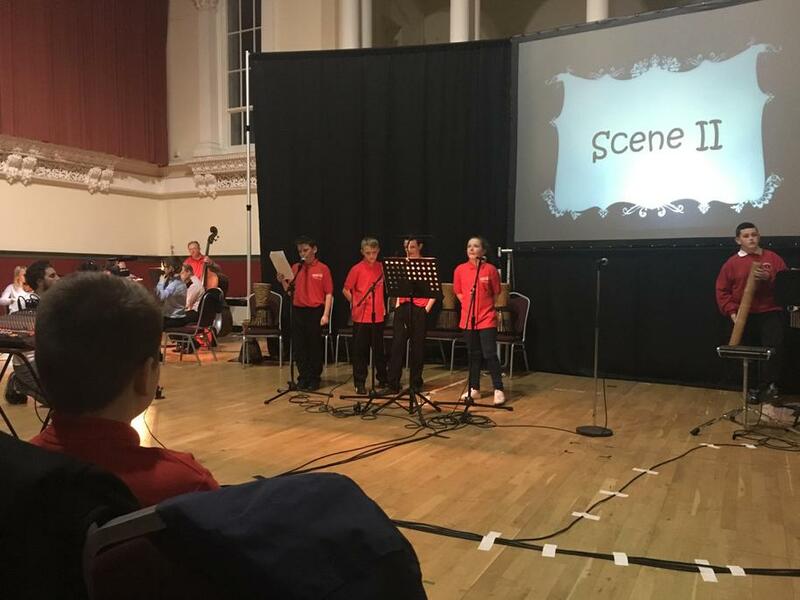 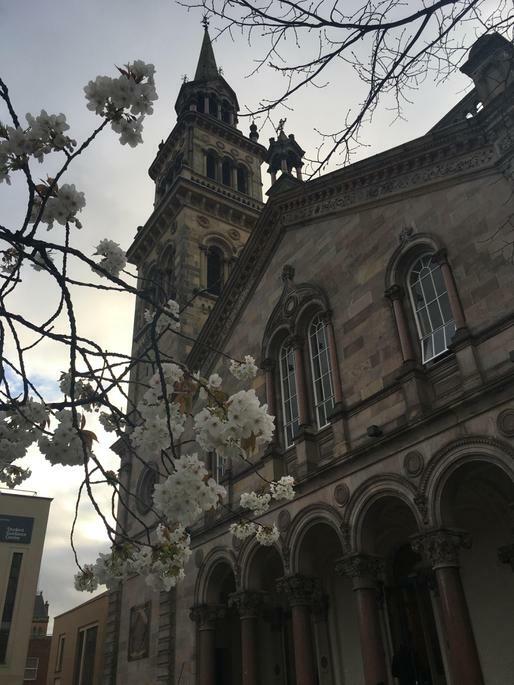 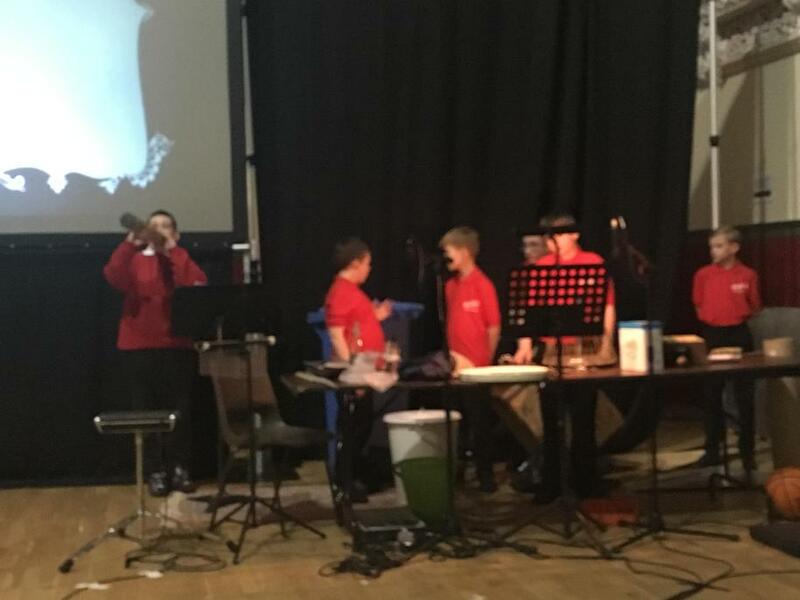 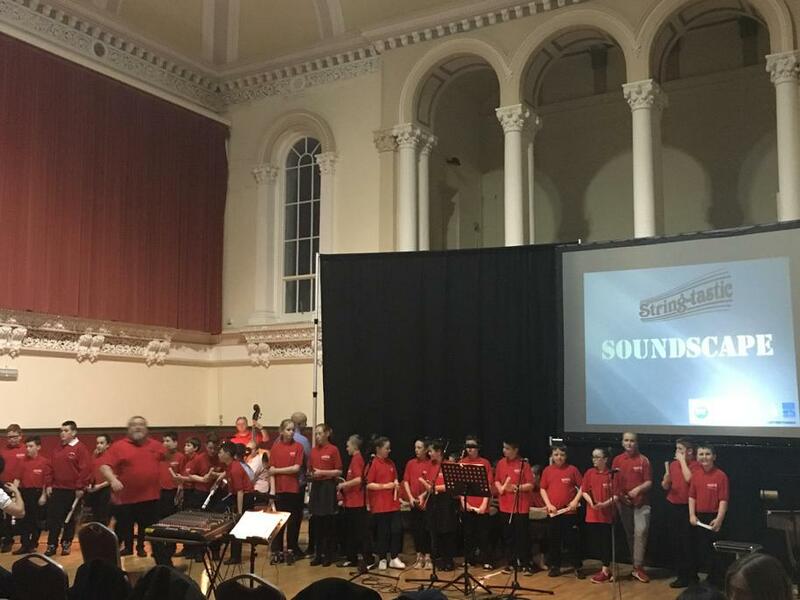 Last night our P7s performed with Stringtastic in the Elmwood Hall in Belfast. 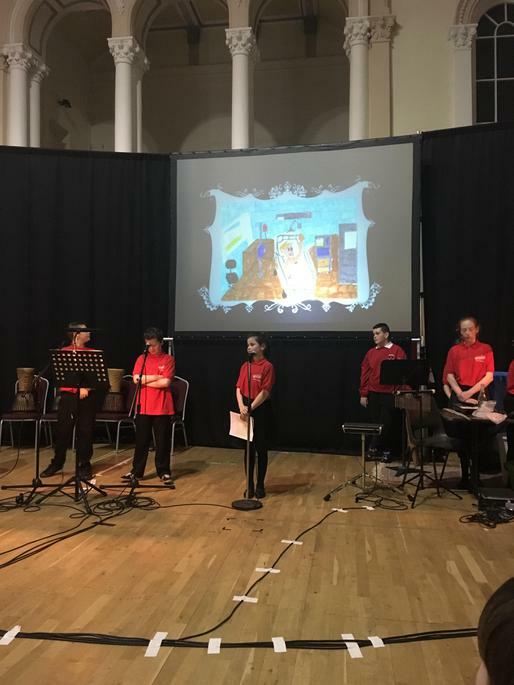 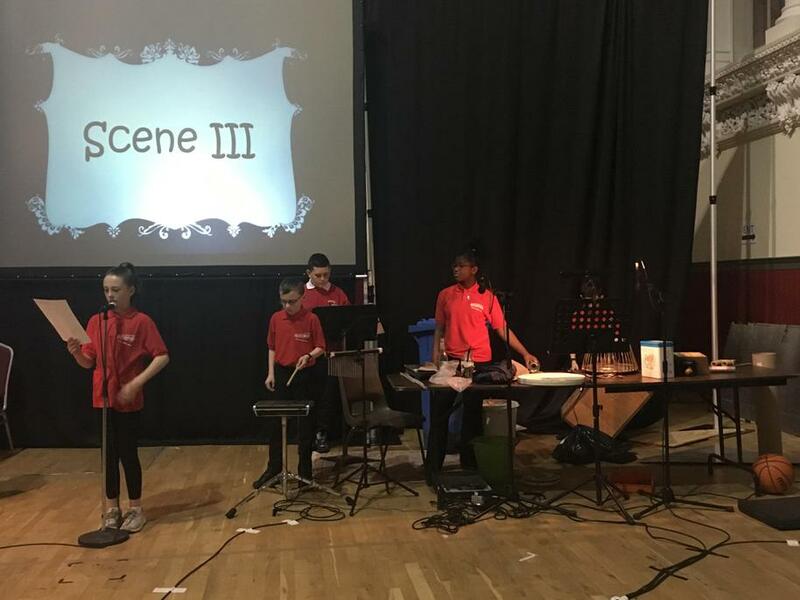 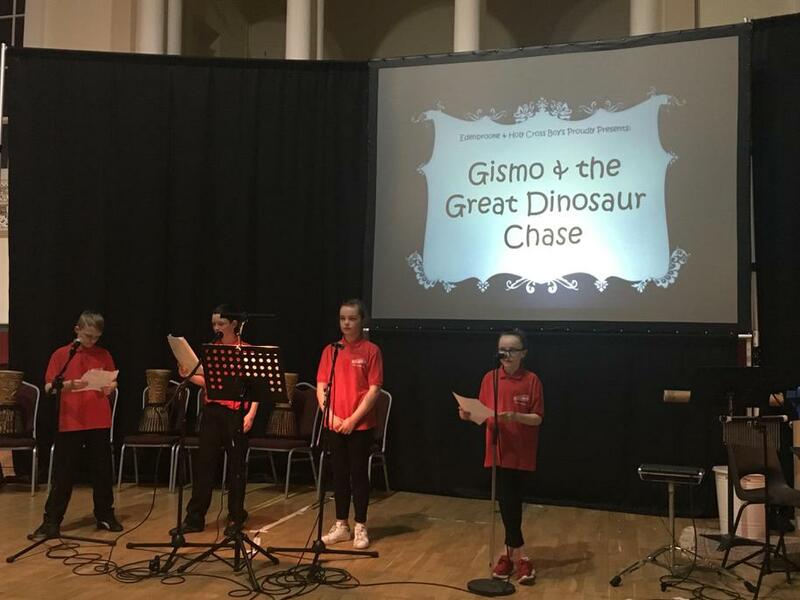 The children perfomed a soundscape play which they had written, designed and illustrated themselves alongside P7s from Holy Cross Boys' School. 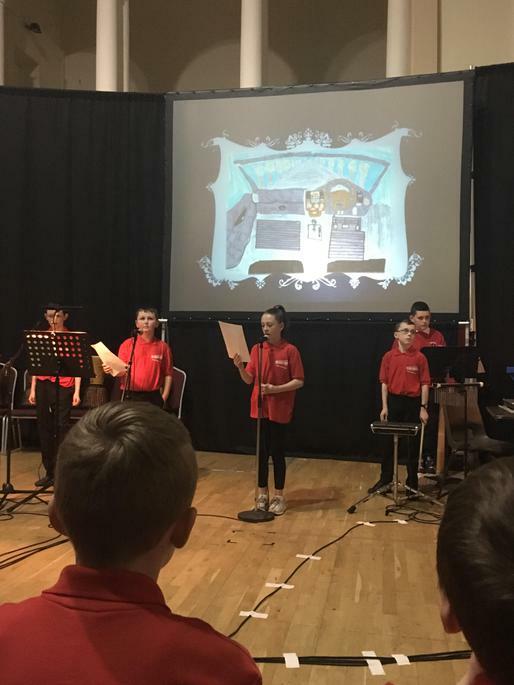 Everyone played their parts fantastically and we are we are so proud of them! 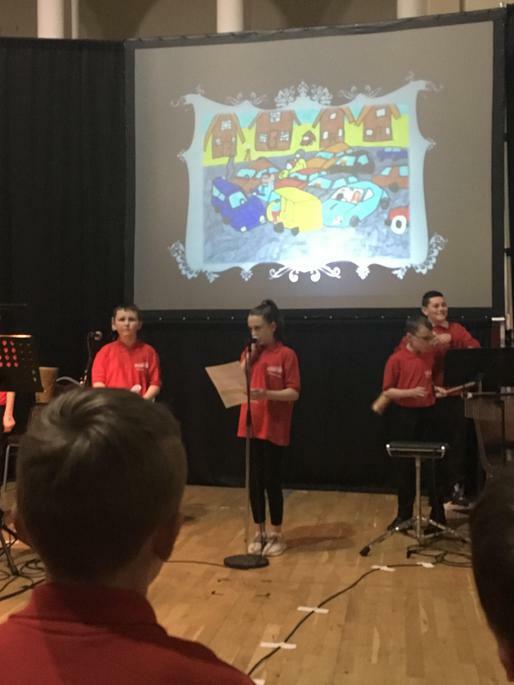 A special thank you goes to Miss Thompson, Patricia and the other staff involved.